Mobile homes are not usually top-quality structures. However, mobile homes have come a long way over the years. Older mobile homes, especially, need some help to make them a little more efficient and save you money. Keeping up with all the general home repairs helps a little bit toward making your mobile home more energy efficient. You can save money on your utility bills by making a few small changes, which will make your mobile home more efficient in the long run. Caulk to fill in any gaps in the window and doorframes to help eliminate any drafts. Purchase plastic to cover your windows, especially during the winter months. Buy window kits with plastic that cover up the windows and almost eliminate any drafts. Follow the manufacturer's directions to hang the plastic to the window frame and enjoy a draft free home. Keep in mind that most plastic window covering kits use a hair dryer to shrink the plastic after you stick it to the frame. Make sure you either have a hair dryer already or you purchase one at the same time you buy the plastic. Make or buy some drapes out of heavy fabric. Hang the heavy drapes on the windows to help keep out cold night air and small drafts. Use lined drapes for even better results. Get rid of any drafts around your doors by installing weather stripping. Use an adhesive to help make the project simple. Follow the manufacturer's directions on where to place the weather stripping, which is usually around the door frame and not the door itself. Replace old heat pumps because old heat pumps can be inefficient. Find a heat pump that is appropriate for the size of your mobile home. Install one that is energy efficient, mainly a geothermal heat pump. 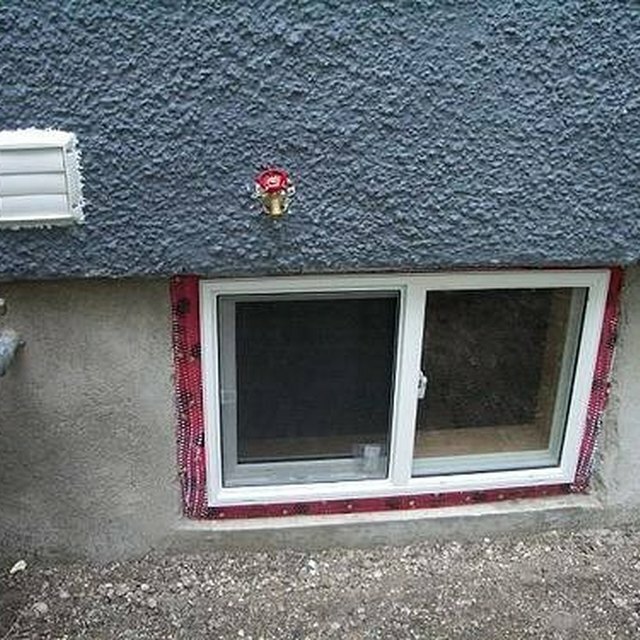 Install some insulation. Hire a professional to blow insulation into the walls of your home. Lay roof insulation on the top of your mobile home, which helps to hold in the heat during the winter months and the air conditioning in the summer months. Do not forget to insulate underneath your mobile home as well. Combine some of these ideas to make your mobile home as efficient as possible. Check for any necessary repairs during the spring and summer months to prepare your mobile home for the cool air of winter.